Public health graduate student Emanuel Alcala. Very few people will admit to an abiding love of statistics. But Emanuel Alcala, a second-year public health doctoral student, believes statistics are key to solving many of the San Joaquin Valley’s public health challenges. Alcala spent three years as a research analyst at the CVHPI. It was there that he developed a passion for public health, finding himself drawn to the statistical tools in the public health researcher’s arsenal. He was recently named UC Merced’s first ever Robert Wood Johnson Foundation Health Policy Research Scholar, one of only 40 students nationwide admitted into this year’s class. But public health wasn’t always on Alcala’s radar. The Kerman native attended Fresno State University, where he received his bachelor’s degree in psychology and master’s in experimental psychology. Though he wasn’t sure where he’d ultimately end up, he was certain of one thing. That meant pursuing a doctoral degree. 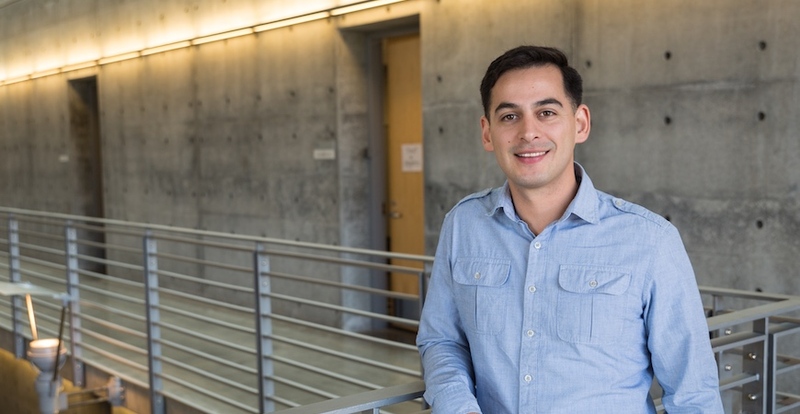 With his newfound passion for public health and an eye towards helping the Central Valley’s most vulnerable communities, Alcala enrolled in UC Merced’s new public health Ph.D. program, which trains researchers to address the Valley’s endemic health challenges. I want to use this fellowship to improve how I can disseminate information to communicate with the public and decision makers. Advised by public health professor and HSRI affiliate Ricardo Cisneros, Alcala employs statistical methods and large datasets to identify factors that contribute to pediatric asthma hospitalizations in the San Joaquin Valley. “We’re finding social indicators are more strongly associated with hospitalizations than environmental indicators,” Alcala said. These findings suggest that socioeconomic status, racial and ethnic identity, and access to healthcare are stronger predictors of asthma-related hospitalizations than air or water pollution. The results surprised Alcala, but he also believes his research has the potential to engender meaningful change. The Robert Wood Johnson fellowship provides Alcala a $30,000 annual stipend, opportunities to participate in professional development and networking events, and mentoring to help him complete his dissertation. The fellowship will enable Alcala to pursue an ambitious research agenda, which he hopes will inform policy decisions and ultimately improve health outcomes in the Central Valley.